I was very pleased to see this national media report from reporter Ben Gruber at Reuters News Service about a doctor at Mayo Clinic who is achieving very positive cancer patient outcomes using Calmare scrambler therapy to treat post-treatment pain. Chemotherapy-induced peripheral neuropathy is a common but extremely painful condition many cancer patients suffer from as a side effect after chemotherapy treatment. Finding successful pain management solutions to treat this debilitating pain have been particularly challenging. But Dr. Charles L. Loprinzi, a highly regarded oncologist and professor at the Mayo Clinic, has been conducting clinical trials using scrambler therapy to help cancer patients for the past three years. Today, he’s sharing his positive findings with the national media about his success using the scrambler machine. The majority of chronic pain patients we have seen here at Calmare Therapy NJ are being treated for severe chronic pain for additional neuropathic conditions — fibromyalgia, shingles, complex regional pain syndrome (CRPS) and post-surgical pain. The recovering cancer patients with CIPN we have treated to date have also experienced outstanding outcomes, however. I have had phn related to shingles for 4 years. Is there a clinic in Mississippi that administers scrambler therapy? Thanks for reaching out and I am sorry to read about your battle with PHN. I have treated several patients from Mississippi which leads me to believe there are no providers there. You are welcome to call Dr. Cooney here in NJ who is specializes in PHN treatment. Feel free to call us to discuss your case privately. Wishing you a low pain day! I have very painful neuropathy, my Dr. At the Mayo Clinic, Jacksonville, fl. has been trying to contact Dr.Dr. 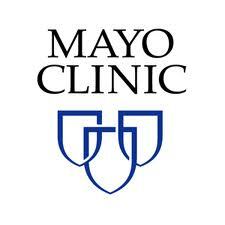 Loprinzi from Mayo Clinic regarding the Scrambler THERAPY for months now and tell me he can find no information , nor a return phone call from Dr, loprinzj. Can you tell me how two mayo Clinic doctors cannot communicate with each other and should I make the communications myself. Judging by the hour that you posted, I can see your pain is also keeping you awake at night. First, I’m sorry to hear about your chronic pain. I am a single provider of Calmare here in NJ and don’t have any affiliation with Mayo or the MDs there, unfortunately. I would be happy to talk with you today about your condition as I have been performing Calmare since 2010. Please feel free to contact me at the office. I have had peripheral neuropathy for 10 years and am very interested in this therapy. Please tell me how I can find out more. I have tried everything, nothing helps. Many drugs and other treatment therapies do not achieve the desired outcomes for patients with severe chronic pain. I experienced this in my own practice with some patients. I just don’t think drugs are the solution, in most cases. You are welcome to call me to talk in more detail about your condition. Keep in mind, this treatment is not suitable for everyone and every condition. Thanks for your message and we are sorry to read about your long battle with fibromyalgia. Please review our website here and feel free to call us to discuss your medical history, previous treatment efforts and current medications in more detail.